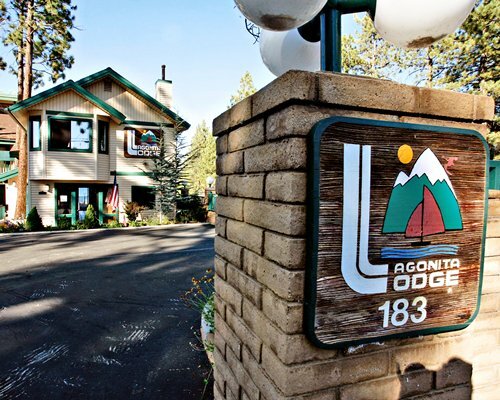 You will find Lagonita Lodge Resort nestled among exhilarating mountain greenery on the shores of enchanting Big Bear Lake. 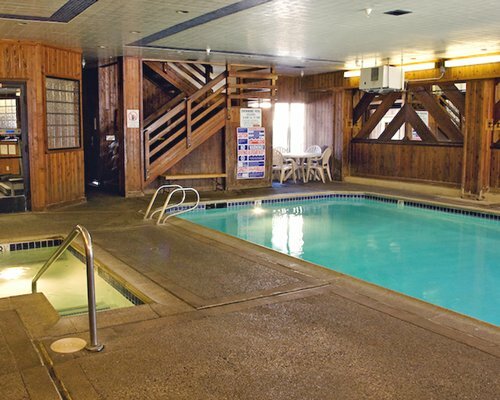 Take a dip in the indoor pool or soak in the warmth of the Jacuzzi. 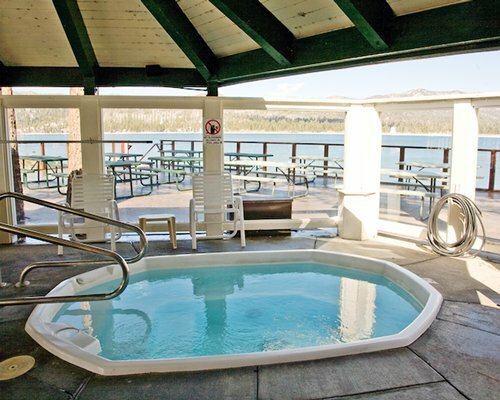 You can enjoy the solitude of the resort or be a part of the small-town environment that gives Big Bear Lake its special character. 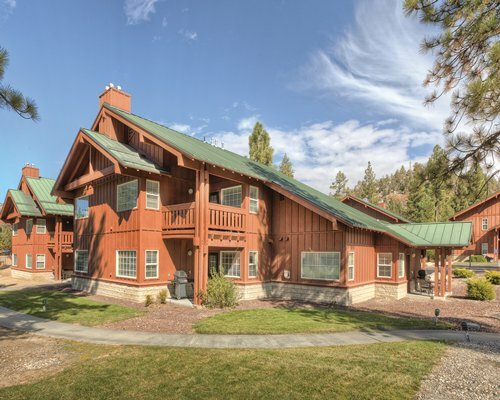 Be sure to enjoy boating, hiking, fishing, and horseback riding in the summer and take advantage of nearby cross-country and downhill skiing in the winter. 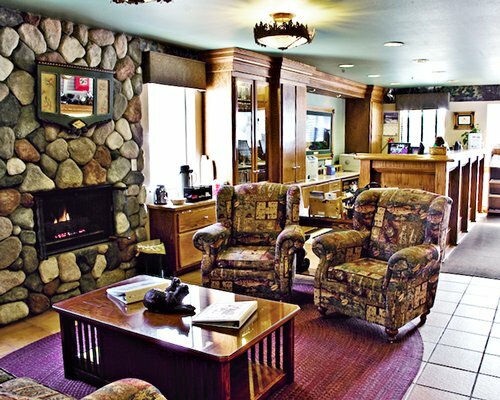 There is a relaxing lounge area on-site. 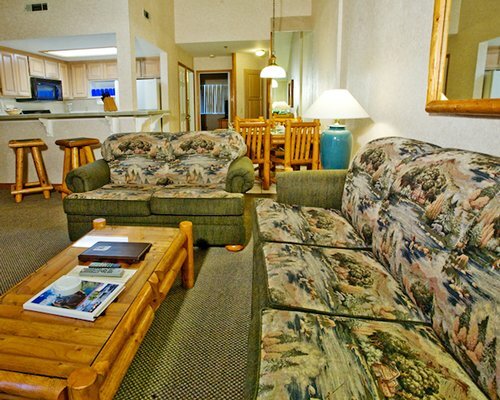 The one-bedroom, one-bath condo sleeps 4 and includes a queen-size bed in the bedroom and a queen-size sofa-sleeper. 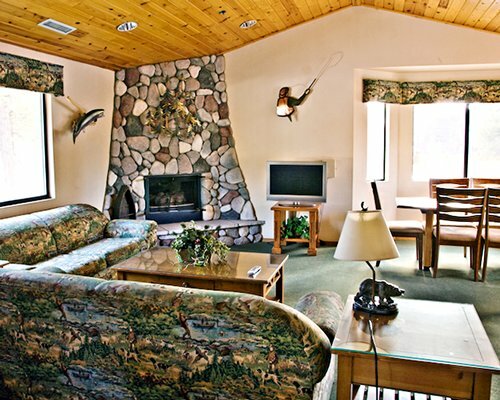 Complete resort amenities include a full kitchen, fireplace and 1 bathroom. 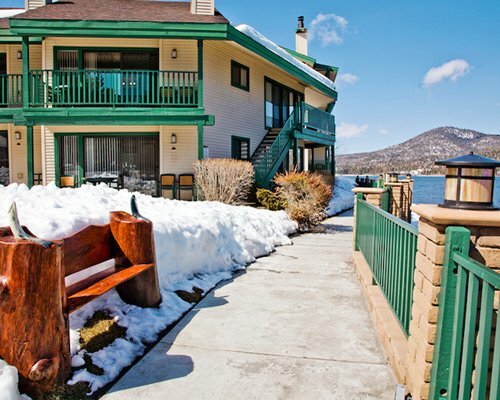 The two-bedroom, two-bath condo sleeps 6. 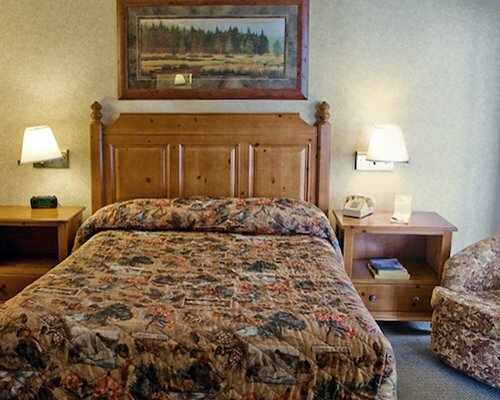 The condo includes one queen-size bed in the master bedroom, two twin-size beds in the guest room, and a queen-size sofa-sleeper in the living room. 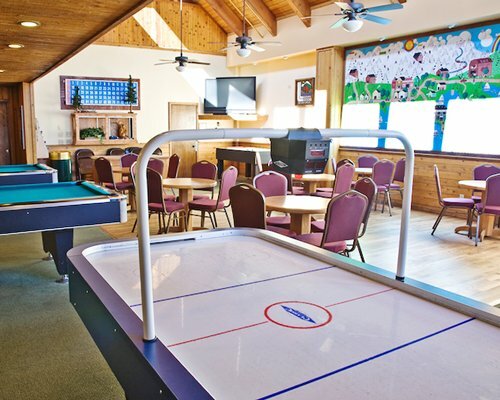 Complete resort amenities for both include a full kitchen and a fireplace. 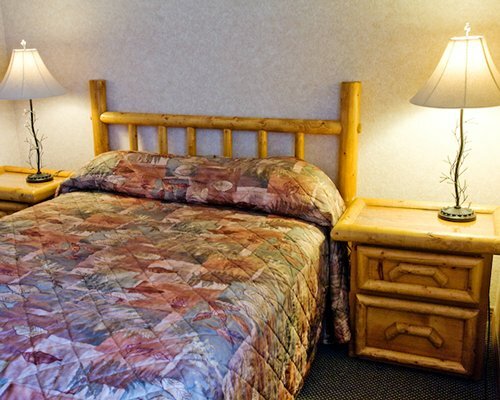 All units are non-smoking, with cable TV, a DVD, a fireplace, and so much more. The nearest major airport is Ontario International, about 65 miles away. Take I-10 to Hwy 30 east to Mountain Resorts. Hwy 30 becomes Hwy 330, then it becomes Hwy 18. Continue on Hwy 18, following the signs to Big Bear. 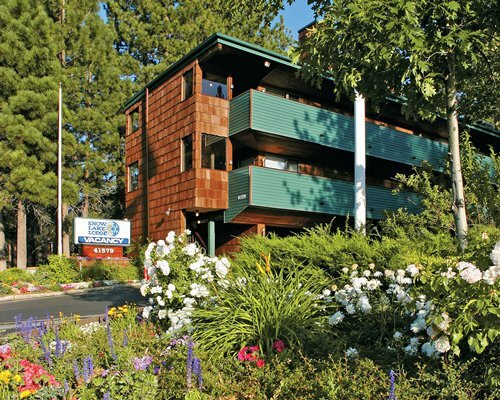 At the lake, stay right on Hwy 18 toward the City of Big Bear Lake. Continue about 3.8 miles to Lakeview Dr. and turn left on Lakeview. Be careful to stay straight on Lakeview Drive 7/10ths of a mile. At the "T" in the road, turn right onto Lagunita Lane. Resort is located on the right. 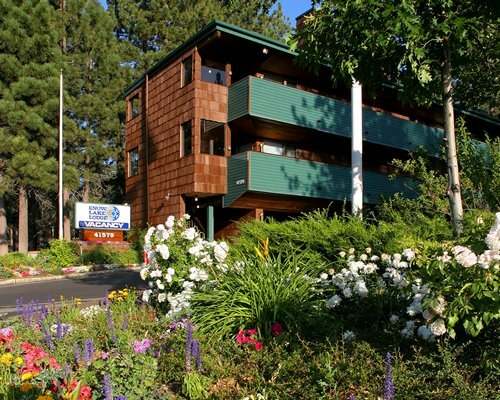 No elevator access for Lakeside units. Call 800/427-7623 before traveling for road conditions or construction closings.